"The BJP released its election manifesto for 2019 Odisha elections. 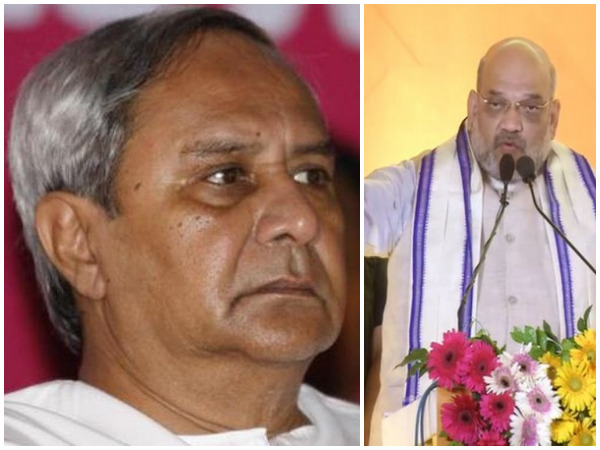 Just as the 2014 election manifesto was full of lies and falsehood, the 2019 election manifesto of BJP succeeds it with bigger lies and falsehood," said BJD in a press release. 1. Why is the promise of special category status for Odisha, which was present in 2014 manifesto, is missing in the 2019 manifesto of BJP? 2. Why are Brahmani second bridge and Ispat Super Speciality Hospital and Medical College missing from the 2019 election manifesto of BJP? 3. Why is the BJP manifesto silent on Mahanadi and Polavaram? 4. Railways – For how long will the BJP make false promises of developing railways in Odisha though it earns Rs 20,000 crore each year? 5. Increasing Minimum Support Price for farmers produce by 1.5 times was a false promise made in 2014. Why is the BJP wanting to continue this false promise in 2019? 6. When Odisha’s annual budget is about Rs 1.2 lakh crore, why is BJP coming up with a false promise of Rs 1 lakh crore for irrigation, even when the national irrigation budget by BJP led Centre is not Rs 1 lakh crore? 7. Why has the BJP’s 2019 election manifesto been silent on the problems of telecommunications and banking facilities in the country? 8. Why is the BJP silent on 2 crore jobs each year and Rs 15 lakh in each account? 9. Why is the BJP manifesto of 2019 silent on National Highways development and deceiving people on Coastal Highway? 10. Why BJP manifesto is silent on the 33 programmes slashed and 8 programmes primarily KBK Yojana, Back Region Grant Fund and IAP programme stopped by the BJP in Centre? 11. Why is the BJP manifesto indulging in the falsehood of trying to double farmer’s income when the Biju Janata Dal Government has doubled farmers' income over the past 10 years as per the Central Statistical Organisation (CSO) report? 12. Why is the BJP indulging in falsehood by talking about building 15 ports in 5 years in Odisha when it hasn’t been able to make even 5 ports in India over the past 5 years? 13. Why is the BJP manifesto giving a false promise of providing Rs 1 lakh crore for urban development when the total budget of the state is Rs 1.2 lakh crore? 14. Why does the BJP manifesto of 2019 conspire to reduce health assurance of women in Odisha from Rs 7 lakh to reducing it to Rs 5 lakh and depriving them of Rs 2 lakh of health assurance? What wrong have they done in the eyes of the BJP? 15. Why the BJP manifesto is silent on coal royalty revision, clean energy cess, and coal auction funds?